CHERRY HILL, NJ: TD Bank has selected JeffreyGroup as its first Hispanic PR AOR following a competitive review. “[JeffreyGroup has] a similar approach to customer service and the importance of the customer like we do,” she added. Before bringing on JeffreyGroup, TD Bank handled small-scale Hispanic outreach in-house, said Acevedo. The agency, which will work with TD Bank through the end of this year on this contract, will help the company implement a Hispanic-focused program and engage media outlets, said Acevedo. While the account is national, she explained that the bank's main footprint is on the East Coast, so the bulk of the agency's work will consist of regional efforts from Maine to Florida with some outreach to national press, such as Telemundo. With a team of four staffers on the account, the firm will also leverage its “Webfluentials” blogger and influencer database, he added. Social media will not fall under JeffreyGroup's scope of work because it is handled by TD Bank's marketing department, said Acevedo. 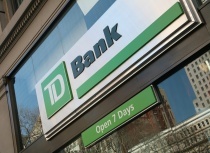 Earlier this month, TD Bank issued an RFP for a PR agency for corporate communications and PR for its retail business. The company expects to make a decision on that account in April. Last week, Facebook selected JeffreyGroup as PR AOR for Mexico and Argentina.